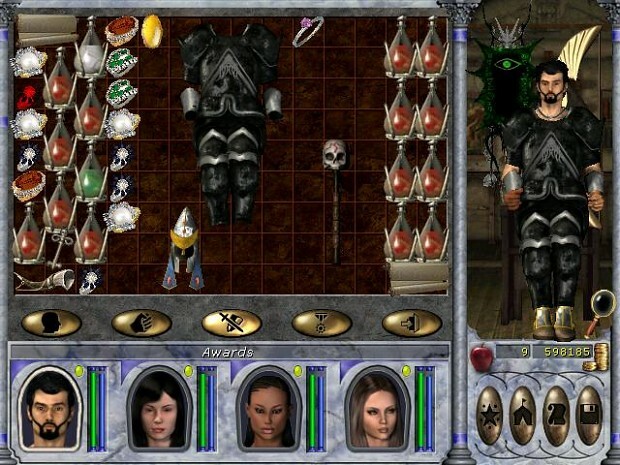 MMVI: The Chaos Conspiracy is a massive modification for Might and Magic VI: The Mandate of Heaven, which adds brand new plot, quests, graphics and other content, using the classic MMVI world as a basis. The second part of the mod also presents entirely new locations. so exactly how do you install the legendary heroes mod? where are the instructions? It just patches your exe file. However, it has been proved that the patch might not work on many computers, depends on the OS. There is no way to fix that because the addon was created in ancient times with the means of hex-editing. Is there a readme about this anywhere? I can't seem to get this mod working. Unfortunately no, this is a very old development. It is not very well optimized, also, like I said above. This add-on is not crucial for the walkthrough. Yeah but what if I want to play with this addon though? Just tell us how old is this Legendary Heroes. Because I can easily install the files on the required OS (say, Windows 95/98) in a virtual machine and then bring back the files to Windows 7. I guess it's about the middle of 00's.